Hassan Abbas is a fellow of the Asia Society in New York and Quaid-i-Azam Professor at the South Asia Institute, Columbia University. He is also senior adviser at the Belfer Center for Science and International Affairs at Harvard University. He served in the administrations of both Benazir Bhutto and Pervez Musharraf, and was a member of the Police Service of Pakistan in Northwest Frontier Province in the late 1990s. His most recent report on Pakistan is Pakistan 2020: A Vision for Building a Better Future. What light do events of the past few weeks – including the killing of Osama bin Laden by US forces near Islamabad – shed on what needs to be done in Pakistan? The Osama episode raises many important questions, ranging from the level of trust or mistrust between Pakistan and the US, to the competence of Pakistan’s security services. At the very least it suggests incompetence on the part of Pakistan’s law enforcement and intelligence services, but more serious problems are also plausible. It calls for a major restructuring and reform of Pakistan’s law enforcement and police institutions and, looking on the positive side, internal efforts for police reforms in Pakistan are already under serious consideration. 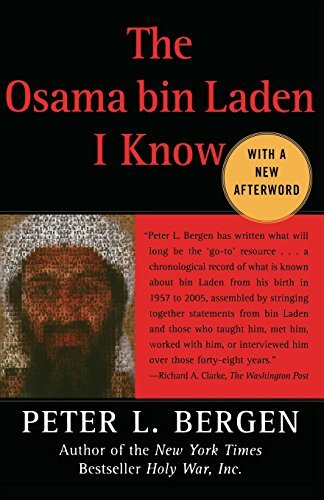 I understand you believe that Peter Bergen’s book, The Osama bin Laden I Know, offers some insight into why Bin Laden had such influence in Pakistan. Peter Bergen is undoubtedly the world’s leading expert on Al-Qaeda and his three books on the subject have made a very significant contribution to the study of terrorism. The Osama bin Laden I Know is a very important study because it explains the nature of the network that Bin Laden created. Peter, from whom I have learnt a lot, interviewed dozens of individuals who have first-hand knowledge of Al-Qaeda ideology and Bin Laden’s mindset. It gives astounding and unparalleled access to knowledge that emanated from his fieldwork. Bin Laden’s network was operating worldwide but the book also explains how crisis in Afghanistan and instability in Pakistan’s northwest provided a space for this terror network to survive and even grow. This book should be a textbook for South Asia’s military, intelligence and police academies because it explains how terrorists think, recruit and operate in volatile environments. So the book is relevant to Pakistan? 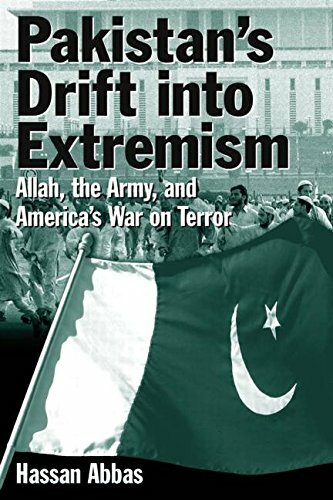 This book is very relevant to Pakistan because its law enforcement agencies and the military need to understand how terrorist organisations strategise and plan. Pakistan is faced with a growing terrorism challenge and clearly its security services have failed to understand the underlying dynamics of extremism and terrorism. Pakistan’s experts and journalists need to go out in the field and find out how leaders of other militant and terror organisations in Pakistan think and operate before they can expect to tackle them effectively. The approach adopted in this book could help them enormously in this effort. I originally asked you to choose books on political reform in Pakistan. You said that in Pakistan we had to talk about reform more broadly, that it’s not just about politics. Can you explain? I think the nature of the challenges faced by Pakistan today are such that without having a comprehensive approach, no reform in any one specific sector will work. These challenges are all so linked with one another. Political reform is inextricably linked with reform of the way religion is believed, perceived and practiced in the country. The same goes for education reform or healthcare reform. All of these are hugely dependent on political reform. But no political reform will work unless it provides some hope to the ordinary people in the shape of more economic opportunities. But in political terms, what is the status of Pakistan now? Is it a functioning democracy? Yes, it is. But there are serious limitations. One thing very few people know internationally is that Pakistan came into being as a democracy. Four days before Pakistan’s first day of independence, which was 14 August 1947, Muhammad Ali Jinnah, the founding father, addressed the constituent assembly, the body that legislated for Pakistan. And he provided guiding principles for the nascent state. He argued that Pakistan was not going to be a theocracy. He was very clear that there is a difference between a Muslim state and an Islamic state, and he made the case that Pakistan was going to be a progressive, democratic, Muslim state. Then Pakistan, in the last 62 years, went through several major stages. Four martial laws, first from 1958 to 1969, then from 1969 to 1971. The third one was from 1977 to 1988, and then the last one, Musharraf’s, was from 1999 to 2008. But inbetween these four periods of military rule – where the chief of army took over the country – there were democratic periods. And in all these four periods, it was public pressure that forced the military to stop governing. Currently, Pakistani democracy is not fully functional in a Western sense, but there is a lot of resilience in Pakistan to aspire to that democratic model. The present status is that they have an elected president and an elected prime minister who, though not very popular, were elected through a proper democratic process. There’s a parliament, with an upper house and lower house, and with representatives from all minority communities including Christians and Hindus. Yes, the military has a dominant role, but primarily in the foreign policy arena. That can also change. We cannot expect the military to go back to their barracks, in the real sense of the word, so soon after military rule is over. It takes time. Pakistan is struggling. There are also strong non-democratic forces operating in the country, but Pakistan is moving through a step-by-step process towards vibrant democracy. So with the rest of the books you’ve chosen, are they looking at ways to strengthen the democracy that the country is struggling towards? Absolutely, yes. And the authors of these books also explain the different routes that reform could take in making Pakistan a progressive, functional state. They discuss whether Pakistan is a failed state or a failing state. I think it’s very clearly a weak state, a dysfunctional state. 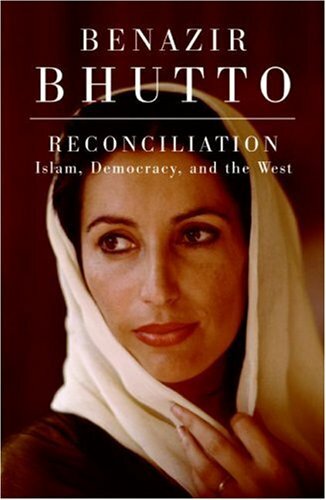 The next book I picked is by Benazir Bhutto. Yes, tell me about her book, which she completed just before she was assassinated. It’s called Reconciliation: Islam, Democracy and the West. How does it fit in? The primary focus of the book is reconciliation and she talks about it at two levels. One is Islam and democracy. She makes it very clear that from her perspective – and this is, I would argue, a mainstream view within Pakistan and elsewhere also – there is no contradiction between Islam and democracy. Yes, there are hardliners, there are religious extremists, and she explains in detail how they tried to nullify this idea. But benefiting from her knowledge of religion and of religious political discourse, she is able to argue that democracy fits in very well within the larger Islamic worldview, within Islamic thinking. The second level of the book is her case for more understanding between the Muslim world and the West. She argues that any conflict, or any difference based on religious lines, will be counterproductive for both. So this is from someone who was a major political leader – the first woman elected as prime minister of any Muslim state – making the case for reconciliation not only between Islam and democracy but also between Islam and the Muslim world, including Pakistan, and the Western world. In my recent visits to Pakistan I have seen this book in every bookstore. It has been translated into local languages. There are many scholars and writers who have been saying the same thing, but because they have not been very well known, or they weren’t very good writers, they were not as influential. Also, the way books are published in Pakistan and various parts of the Muslim world, the readership is not normally very large, especially for English books, so it’s very restricted. Benazir’s book came out in 2009 and her ideas were also regularly reflected in her speeches and her statements and the manifesto of her party. Her views were quite popular, there was support for them – that’s how her party got the vote. Her party is in government now and is trying to implement those ideas – with mixed results so far. Benazir Bhutto was making a case for pluralism. As this book makes clear, she understood very well the issues that are now really starting to haunt Pakistan – the religious radicals, the religious extremism in the northwest, the militancy which is expanding in the tribal belt, the increasing terrorist attacks all across the country. I had a chance to talk to her before she went back, when she was in New York. I asked her very specifically what was she expecting when she went back. I indirectly made the case that there would be threats to her life. There would be people waiting for her – all the extremists and militants. They would target her not only as a democratic leader, but also as someone who wanted a reconciliation between Islam and the West, and who was known for her pluralistic thinking within the Islamic context. Benazir said to me, “I know, my life will be in extreme danger, but I think I owe this to Pakistan. I need to go back and fight it out there”. She was pretty clear that she would probably go down, but she wanted to go down fighting. That’s the kind of feeling I get from this book as well. I’m sure there were many editors and people who helped her write this book. But she is able to make the case so clearly for Pakistan’s democracy, for defeating those extremists – who right now are gaining more strength. There was [the governor of Punjab] Salman Taseer’s assassination, and the killing of Shahbaz Bhatti, the Christian cabinet minister, both because of their critical stance on the controversial blasphemy laws. Extremists have indeed been able to expand their space. Benazir Bhutto stood for a fight and struggle against that. That’s the main theme of the book, and that’s why I picked it. Did she gain more support by being killed, by being a martyr in a sense? Yes. Across the board in the political arena and in the media, there was recognition for her struggle. Through martyrdom she did gain more support. For example, there was recognition even from a former head of the intelligence who had always been very critical of her. There was a change in the tone of some conservative religious scholars who had always blamed her for many of Pakistan’s problems. There was some legitimate criticism of her as well. When she did have the chance to rule the country [1988-1990; 1993-1996], she could not deliver on many counts. There was corruption in her government as well. Then, she left the country for seven to eight years. But at the end of the day, the Pakistani nation was very shocked at her tragic death. It was only at that point that many people realised how important she was – with her dynamism, with her international stature, and her clarity about democracy and the role of religion. 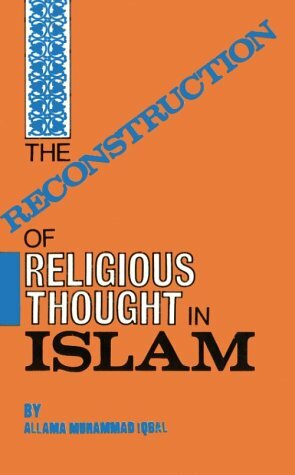 Tell me about the book by Muhammad Iqbal, The Reconstruction of Religious Thought in Islam. This is an old book, from 1930, before Pakistan’s creation. It’s based on lectures given by Dr Iqbal, the Indian poet-philosopher who initially came up with the idea of Pakistan. He is also officially designated as the country’s “national poet”. You can buy this book everywhere in Pakistan – not only major bookstores, but small ones as well. Iqbal emphasises the concept of ijtihad. This is an Arabic word, which implies creative interpretation of Islamic law through rational or logical reasoning. He is making the case that religious belief, especially when its ideas are applied to politics, should be rational. He was also a supporter of representative democracy. Today his ideas are very relevant, especially when we have to counter the dogmatism of religious forces in the political arena, and challenge those involved in militancy or terrorism using Islam. His book makes the case that Islam is not rigid – as Muslim theologians portray it – and it has some very progressive credentials and dimensions. Iqbal’s ideas and philosophy have the credibility to help democratic forces in Pakistan a lot. Because when any newcomer, or an upcoming scholar, talks about these progressive aspects he is immediately dubbed pro-Western – which is, unfortunately, a negative term in various parts of the country. Iqbal was very open-minded in his religious discourse, and his main message to the Muslims of South Asia was to come out of intellectual stagnation and realise their potential through education and political action. His six lectures, which are transcribed in this book, can play a very constructive role in Pakistani society today. On to your last two books, which deal with more specific issues, such as reform of the healthcare system. Pakistan has a chequered constitutional and political history but progress has been made in some sectors. For instance, the Movement for Rule of Law in 2007-09 has greatly helped the judiciary gain independence. Where Pakistan has really failed – and why democracy and the democratic system has not been able to gain a lot of currency and support – is because democratic leaders have failed to do much about governance issues. Here, there are two important sectors. One is the failing healthcare system. Pakistan is a country of 180 million people. If they are not healthy, they cannot do anything well. The other is the deteriorating education system. Yes, tell me first about Sania Nishtar’s book, Choked Pipes: Reforming Pakistan’s Mixed Health System. This is the first book of its kind. Sania Nishtar has her own NGO thinktank, Heartfile, which is just focused on healthcare reform. She makes the case in the book that healthcare is a basic right of every citizen. It has to be seen as a fundamental right, and the state should be held responsible if it is not working properly. Then she gets into the details of how the public and private sector can work together. Today in Pakistan, if you’re in Islamabad or Lahore, or any major urban centre, you will find some top class hospitals. These have physicians with foreign degrees, with professional experience in the US and the UK. There is competitive post-surgery care, and they are generally well managed. But you need to be a very rich person to be able to even enter that hospital. Then there are the public hospitals. You pay a minimum price, maybe even less than $10 to go there. But these hospitals are in very bad shape. There are too many people, too few hospitals, so there are long lines, and the quality of healthcare you get is really very poor. You can even catch a new disease by going there. She argues that the private sector can do a lot, because they’ve already invested. The Pakistani elite, those who have access to money and to resources, have been able to establish a healthcare system that works for them. But for 95% of the people, the state has done almost nothing. She tries to show how reform can go forward in a step-by-step fashion, what the state can do. She is not someone who is just making a general hypothetical case, that ‘Yes! We want healthcare for everyone!’ She is providing all the details, the status of where things stand today, what needs to be done. This book from a very well qualified person is a very real contribution. Her reform proposals are very useful both for Pakistan, and for all those donors – the US, the EU – who want to help ordinary Pakistanis. What about in the rural areas? What is access to healthcare like there? You do have access to healthcare in some of the rural areas, but if you go to places like Balochistan – which is the largest province and the most underdeveloped – you may have to travel for hours to get to the doctor. The situation is similar in the Federally Administered Tribal Areas (FATA) where suicide attacks are, unfortunately, routine. What they do is bring most of the injured to Peshawar, the capital of Khyber Pakhtunkhwa Province, which is at least two or three hours’ drive from the most troubled parts of FATA. It means that most people won’t make it to hospital alive, or very critical time will have been wasted. It is criminal that Pakistan has not invested in this sector. Apparently even international donors haven’t given much thought to supporting it. 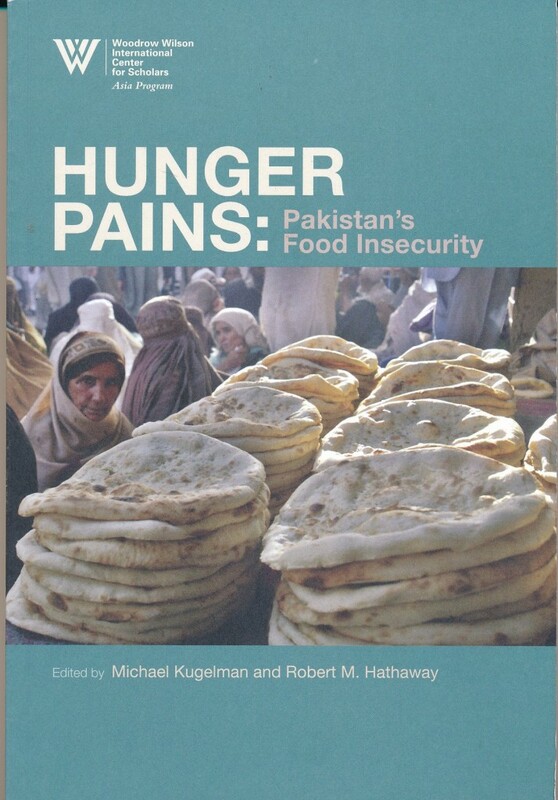 Your next book is on Pakistan’s very serious food shortages, and it’s called Hunger Pains. Yes, I should mention that one of the reasons I picked this book is that it was published by the Woodrow Wilson International Center for Scholars in Washington DC. This is one institution in the US that is doing a tremendous job of focusing on very critical issues in Pakistan. They have actually published a number of short books on Pakistan between 2005 and 2010. One is on Pakistan’s water crisis; another is on Pakistan’s energy needs. The third one is about education reform in Pakistan, and this one, Hunger Pains, is another one in the same series. I want to especially recognise their work because most of the academic and policy work that is taking place in the US and Europe, and most of the books that are written on Pakistan, focus on very specific topics. For example, if you go to a bookstore in New York or Washington DC or in London, or even in Paris (I have checked this everywhere) and ask for a book on Pakistan, in 99% of cases you’ll be given a book which is either on a terrorism-related or a religious extremist issue. On other important issues – which are necessary for us to understand if we want to change things – there is not much work that is available to the ordinary person. And the Woodrow Wilson International Center is doing a great job of looking at exactly those issues which will help those in Congress, in the US government, or among the international donors in the EU who say, “OK, what are the areas where we can make a real difference in the lives of the ordinary people?” So I wanted to recognise and acknowledge this project and their work. I had a look at Hunger Pains before speaking to you. It reports this scary figure that in 2008, nearly half the country, some 77 million people, were going hungry. Yes, the book is an excellent collection of essays from Pakistani and American experts, raising the critical issue of Pakistan’s food insecurity. Pakistan is an agricultural country where 65-70% of the land area is rural, and most people’s livelihood in rural areas is also dependent on production of food items. And Pakistan used to export food items once. But now they’re at a stage where they have been facing severe food shortages, especially of wheat and sugar. Food insecurity has become a major crisis and to the majority of the people in Pakistan today, the real struggle is the daily effort to get food onthe table. Nation-building efforts take a major hit in this scenario and this book looks at these basic issues in that context. It talks about inadequacies in Pakistan’s infrastructure, the government support system for the ordinary farmer and the transportation system. For all these reasons, fulfilling the basic food needs of the people has become an insurmountable task for the state. There is a serious potential for violence and social upheaval as a consequence.In fact, in 2008, this food insecurity crisis did trigger civil unrest in many urban areas, and Pakistan’s army was dispatched to guard grain supplies. This can happen again at any time. Is there one thing the government could do to easily improve the situation? Or is it a variety of issues? There are a variety of challenges. The government over the years took it for granted that Pakistan would have enough food. The energy shortages and dwindling water resources are also related to this – you need water foragricultural production and if there is no electricity there are no water pumps, so there is no water for many areas. There has been a criminal failure on the part of the government of Pakistan – of the political leadership and of the military leadership – to address this. They have been so deeply stuck with internal political tussles, on rivalry with India, that overall development trends have deteriorated to the extent that these are proving to be devastating for Pakistan. If you can’t provide basic necessities to the majority of your own people, what will you gain from getting Kashmir from India? Shouldn’t you get your own house in order first? But this kind of worldview, of the Pakistani military, of the Pakistani political leadership, their focus on India and Afghanistan, took up so much of their time that they did not focus on these basic issues. They did not stop to think that if there is not enough energy for this rising population, and if water resources are not utilised effectively, it will have a direct impact on food production.So there is no easy solution to solving these related problems – except more investment in the social services sector rather than the defence budget.